Flagship of Paulo’s coffee farms. 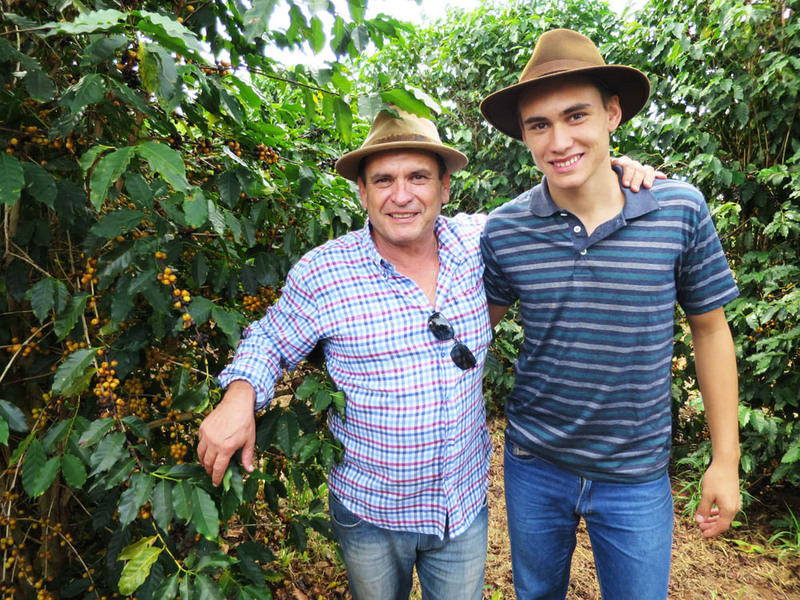 The coffee farm is located close to city Pedrogulhio, Alta Mogiana region, Franca (SP) Brazil. It lies on hills top above natural reservation Parque Estadual Das Furnas De Bom Jesus. Farm has its own artificial lake that becomes sanctuary for many wild animals. There are many birds, capybaras or pacas, armadillos and even several species of monkeys. On the farm are still visible fragments of original railway between inland Brazil and port of Santos. 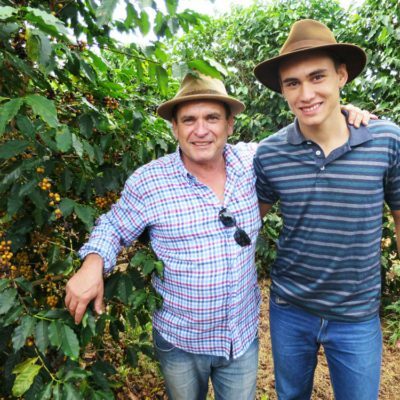 Farm is structured on different sections with different coffee varieties as Yellow Catuai, Red Mundo Nuovo and Catucaí. After Paulo bought the farm he invested in water supply and replanted more then 50% of entire farm with new plants. There are four families that lives at the farm. Seňor Benedito is manager of the farm with daily presence on site. In total this coffee farm has 125 ha. 25 ha is reserved for wild nature and 100 ha is coffee (61 ha Yellow Catuai, 30 ha Mundo Nuovo and 8 ha Catucai). One hectare is dedicated as experimental space for research, development and testing of new coffee varieties and agronomy.